Play Pimped Slot online and dive into the luxurious life you've always dreamed of. Now here’s a Slot for a perfect start of the week. 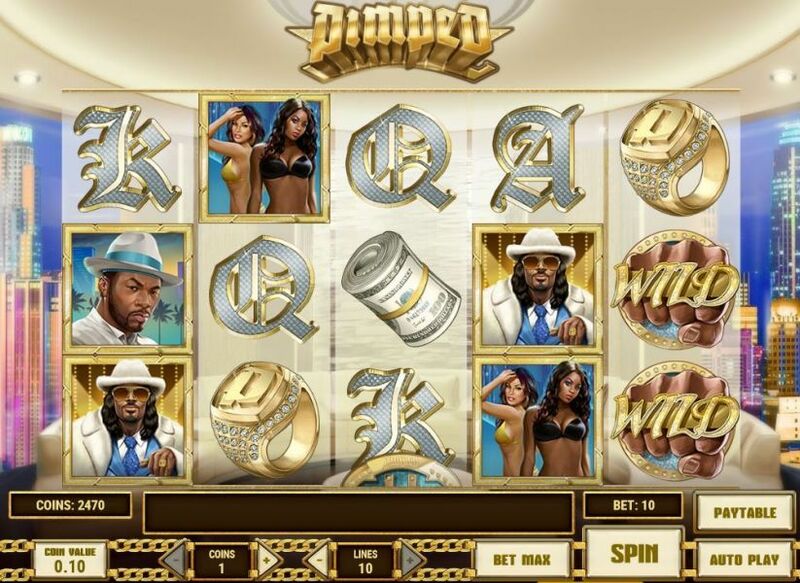 Discover Pimped, a dazzling online Slot machine by Play’n GO. Rich celebrities, hot girls, and neverending rolls of cash - this is what we’re all secretly dreaming about. And today, it’s YOUR turn to have a taste of this decadent lifestyle. So, get yourself pumped and play Pimped! You can do it for free or for real money - you’ll enjoy this Play’n GO Slot either way. Open the Pimped Slot, join the most charismatic hip-hop celebrities, and let them literally shower you with money! This 10-payline baby is everything you need if you’ve been looking for a Slot machine with great bonuses. The reels feature celebrities, beautiful girls, golden rings, rolls of money, and a massive knuckle ring. The Wild that you should look for is depicted as the knuckle-ring. It substitutes for all the other fancy symbols except the Scatter, which looks like a giant dollar sign. This Scatter is your luckiest symbol of the Pimped Slot machine online. Collect three of them and get five Win Spins immediately! 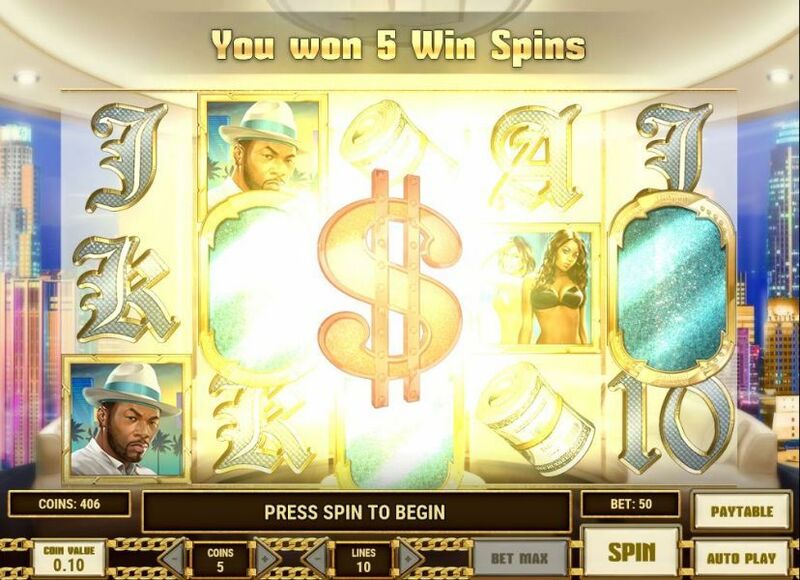 Why is the free spins bonus called Win Spins in Pimped? Well, that’s because every extra spin is your lucky one. Every spin in the bonus mode is a guaranteed win. What’s more fantastic is that every Scatter on the reels adds two additional Win Spins. You can win up to 20 bonus spins in one round! The Pimped Slot machine offers an RTP of 96.51 percent. It was enough to keep me glued to the Slot for an hour! Lastly, I LOVED the music of the Pimped Slots. It seems that Play’n GO thought about everything! Where Can I Play Pimped Online for Free? Ready to play the Pimped Slot machine online? However, you shouldn't play it at any online casino. Nope. You should experience its glitz and glam at VideoSlots casino, the #1 page for any Slots fan. Video Slots has the most Slots I’ve ever seen in one place. 2,662 games, to be exact. The site really lives up to its title! BUT. A good bonus is as important as high-quality games. It’s just the way the world works! Luckily, VideoSlots has something great to offer in terms of promotions. Let’s begin with the no deposit bonus because I know you LOVE those. 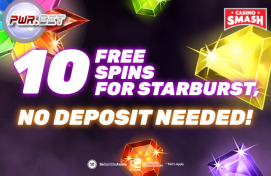 Sign up at VideoSlots and get 11 no deposit free spins! You don’t need to do anything more - just create a new account and you’re all set to play Starburst, Rook’s Revenge, or any other game depending on your region. And now, the real fun begins. Make your first deposit of €10 or more and get a 100 percent bonus of up to €200. 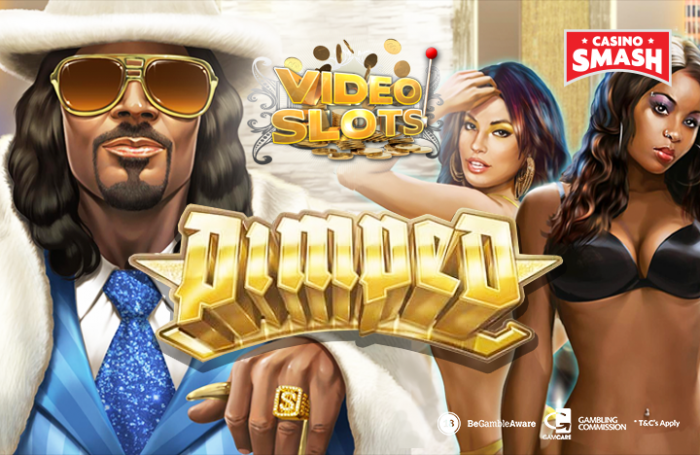 Go to VideoSlots, claim what’s yours, and dive into the life of parties and luxury with the Pimped Slots!